There’s a better and faster way to install your electrical pipe conduits. The typical conduit often comes with a tedious installation process. Most electrical companies just accept the high labor, time, and financial cost that comes with it. Simply because there wasn’t a more efficient alternative in the market. Customized pipe bending avoids the intensive work and cost of conventional electrical conduits. The technology creates large sections of your conduit with singular pipes bent to precise angles and cut to the right sizes. As a result, you get fewer and larger sections prepared for installation without the need for connectors, elbows, or couplings. Pipe bending takes whole lengths of pipes to create large sections that fit seamlessly along your structures. That way you significantly reduce the number of components that have to be assembled on-site. That alone speeds up the process. Your team won’t need to do as much cutting and trimming either to put sections together. They can dive sooner into the wiring tasks and get the job done in a shorter time. After everything’s in place, they can just pick up their tools and go since there wouldn’t be a load of scraps to clean up after. Without the demanding workload and additional components, you cut your costs dramatically and even have extra time to engage in more projects. Pipe bending is certainly a game-changing technique. But most bending machines in the market are not designed to process tubes with hairline accuracy. This tendency often created ‘bone yards’ in job sites of that cost more rather than save companies money. Electrical Wholesalers, Inc. takes efficient conduit assembly a step further with its pipe bending facilities up in Connecticut. 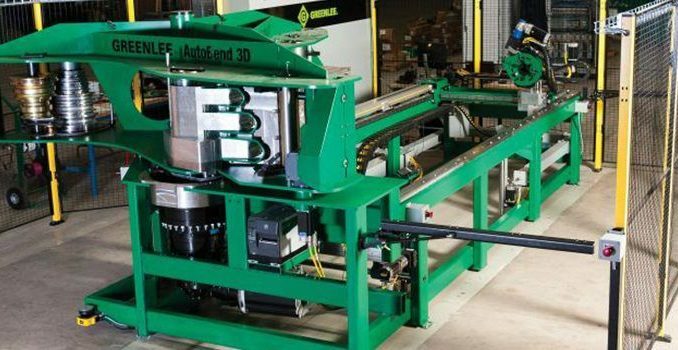 EW uses Greenlee’s Autobend 3D for fabricating electrical pipes with uniform and precise bends. Plus you save time and money without the pile of scraps for disposal. The pipe bending machine is manned by a licensed journeyman electrician. This ensures all bends, in whatever configuration, are calculated to the dot. This saves you hours of rework to correct manually marked pipes that miss the mark. Wait time is also much shorter with bent pipes. You deal with just one supplier to provide everything you need, rather than waiting on multiple providers to deliver different components. Processes Electrical Metallic Tubings (EMT), Intermediate Metal Conduit (IMC), Aluminum, stainless steel, and Rigid conduits. Contracting your pipe bending jobs to a prefabrication facility like EW’s is a quick and straightforward process. And the positive effects show up on your bottom line and client satisfaction rating. It’s an easy choice to make, given the efficiency, cost savings, productivity, and growth benefits it gives to your company.